Ultimately, the expert group that is to be composed will be an instrument that enhances best practice sharing across EU member states, in coordination with the Commission. Once fully functioning, public health groups in all areas, employers’ organizations, insurers, economists and even digital stakeholders are to be involved. The EU Health Policy Platform operates in two ways: online discussions and collaboration as well as face-to-face meetings to host targeted thematic discussions. 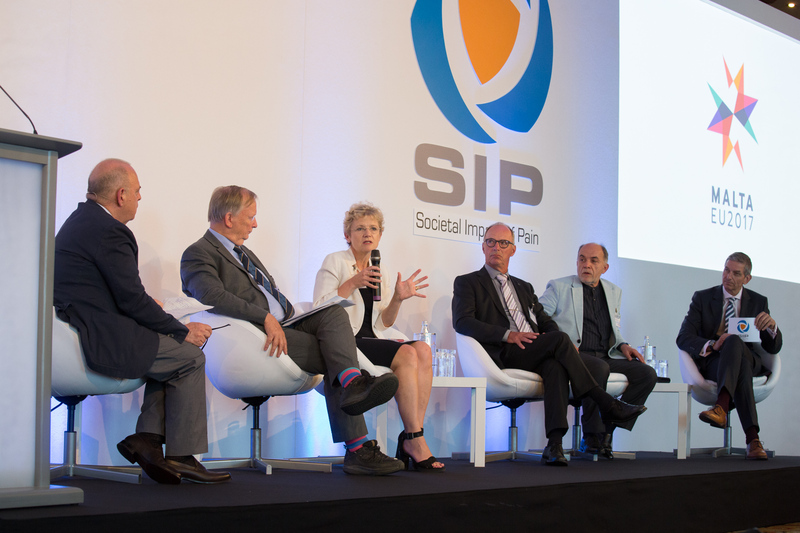 “In the long-term, the European Commission’s initiative could positively address some of the recommendations presented during the SIP symposium, and reflect the Maltese Presidency’s goal of structured cooperation between healthcare systems. It is a huge step forward for our efforts and patients throughout Europe,” said a delighted Bart Morlion, President elect, European Pain Federation EFIC, who is responsible for the scientific framework of SIP. This year’s symposium was attended by more than 300 participants, including healthcare professionals, pain advocacy groups, researchers and specialists in the field of pain as well as insurers, budget holders and European politicians. For more background information on the policy recommendation made, please see below. Instruments to assess the societal impact of pain. The European Commission and national governments should work together to promote policies that reflect the link between pain care and employment. This should be recognised at both EU and national levels, through a push for greater interconnection between ministries and services dealing with health, employment, research, and social protection policies and systems. Better understanding of these interconnections would allow for greater efficiencies in pain management, helping patients access the treatment they need to continue being active in the work place. National plans should also encourage enforcement of existing national legislation requiring reasonable, flexible workplace adjustments by employers that can help people with chronic pain stay in work or reintegrate into the workforce. National governments and health authorities should initiate patient education programmes and information campaigns in order to create public awareness of the short and long-term consequences of inadequate access to pain treatment for pain symptoms. The aim of these programmes should be to reduce stigma and increase self-management of pain. National governments should also promote wider access to pain education among the healthcare profession, including all those who see and treat pain. The European Commission and national governments should increase investment in research (basic science, clinical, epidemiological) on the societal impact of pain as a priority in future EU framework programmes and make funds available via employment and health policy research programmes. The OECD and European Commission should also, in their upcoming edition of Health at a Glance: Europe 2018, present pain as a key indicator of health and health systems analysing the links between population health and labour market outcomes. The scientific framework of the “Societal Impact of Pain” (SIP) platform is under the responsibility of the European Pain Federation EFIC®. Cooperation partners for SIP 2017 are Pain Alliance Europe (PAE) and Active Citizenship Network (ACN). The SIP 2017 symposium is co-hosted by the Malta Health Network and the No Pain Foundation. The pharmaceutical company Grünenthal GmbH is responsible for funding and non-financial support (e.g. logistical support). In the past the scientific aims of the SIP symposia have been endorsed by over 300 international and national pain advocacy groups, scientific organisations and authorities.